I’ve had Brussels on my list of places to go for a really long time. I’ve been to Belgium but Brussels was always the place we drove around on the ring road and then went elsewhere. I’ve always felt a bit bad about that. Sorry Brussels. Anyway, so when we saw a cheap deal on British Airways earlier this year AND U2 were playing during that time, well it seemed rude not to. 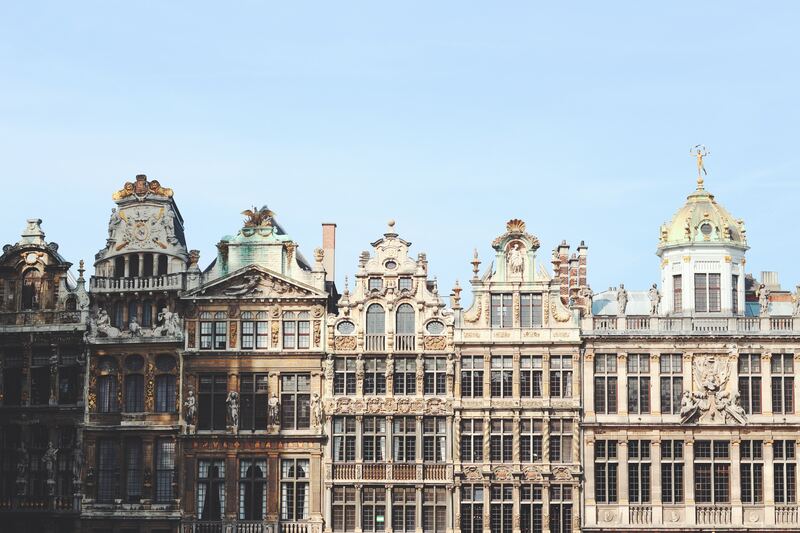 We spent three days in Belgium’s capital city and got to fit in a lot of eating, dancing and exploring. 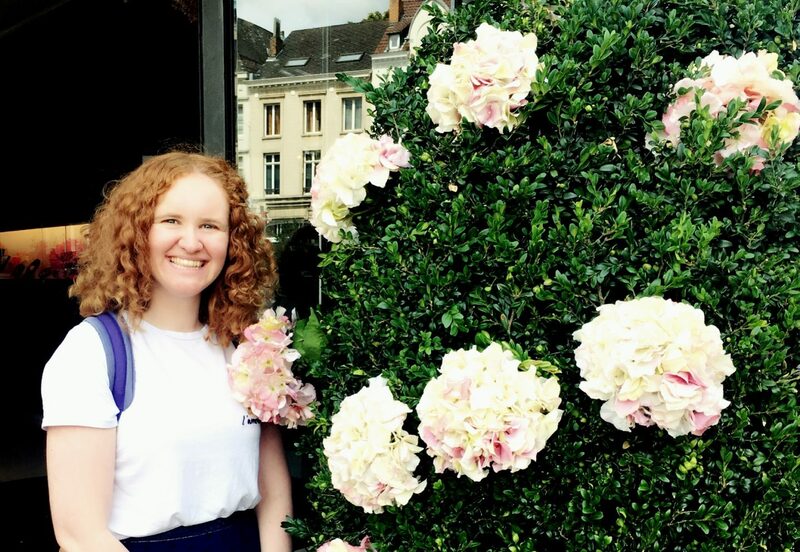 So here’s some things I got up to during my time in Brussels this August. Our hotel (Sofitel Brussels Europe) was in the European Quarter so this was only five minutes down the road. It gave a fascinating insight into the setting up of the European Union and how Europe has survived ordeals such as the financial crisis, humanitarian crisis and the end of Communism. Not going to lie, being British I did feel like I had to apologise. I really don’t want to leave the EU, but hey, that’s for another day. Well, it is me after all. We wandered around the city and came across Piere Marcolini and bought two of their chocolate cakes – they even made it back to London! There seemed to be a lot of attention paid to the decorations outside the chocolate shops in Brussels too. And there were other purchases of chocolate for sustenance of course. 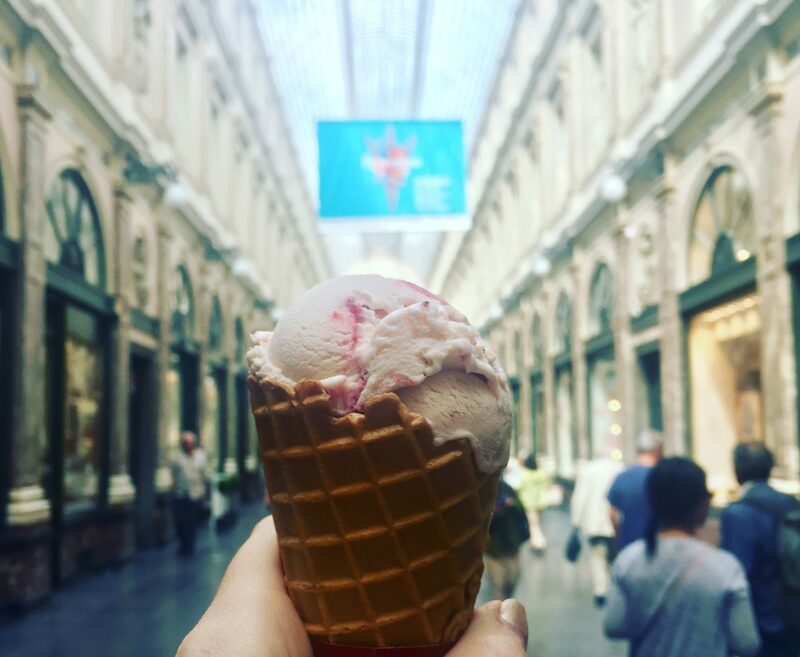 The Grande Arcade had a very good selection and also had some good ice cream too. I was lucky enough to see them at the beginning of the tour in London but as always there is room for one more. It felt good to see the end of the tour and how it changed over time. 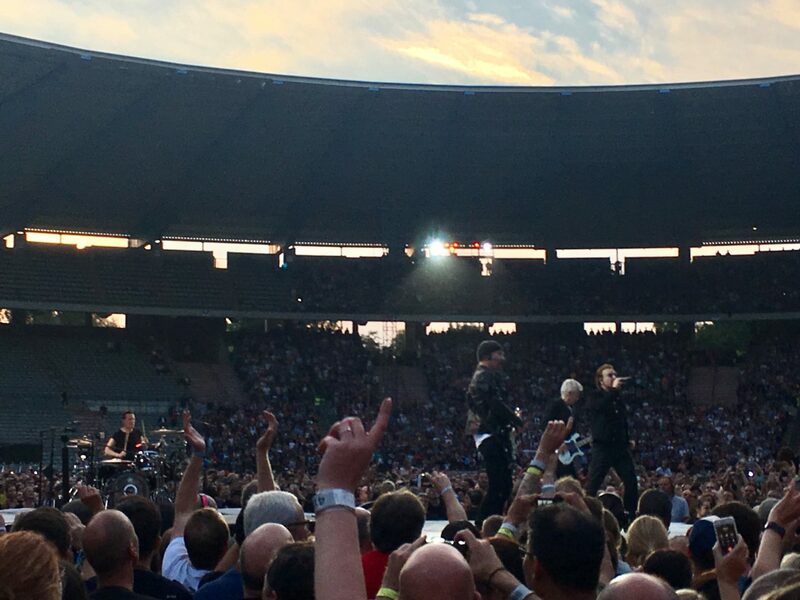 I grew up listening to U2 so it felt amazing for me to finally see them play the entire of The Joshua Tree live. We ended up queueing to get a bit closer and it was a bit of a scrum when they let us in but good fun nevertheless. Not impressed with the guy in front who decided to film the entire show on his mobile. I will find the Youtube account and call him a ‘tw*t’. On our final day we got in a walking tour which started in the Grande Place and then wound around the most important parts of the city. I like walking tours because I always learn so much about our city. It was interesting to hear about Belgium’s history, it’s chocolate and beer along with what Brussels is like to live in. It was sad to hear that tourism has been down since the attacks and I really hope it picks back up to its levels before the attacks. I felt completely safe during my time there especially with so many soldiers wandering around the city. There are so many open and green spaces in Brussels. We ended up stopping at the main park opposite the palace for some coffee in the park. Europe has some amazing coffee. And before we knew it, it was time to head home. I wasn’t ready to leave! In fact within 12 hours I was searching the price of houses in Brussels. So i’m pretty sure i’ll come back at some point! If anyone is looking to visit Brussels at the moment, Eurostar have some amazingly tempting deals! "Analysing my travel habits – the good and the bad"
"An ode to The Killers"